& left Cornel & Yevgeniy needing 3rd & 2nd respectively to catch Eric. 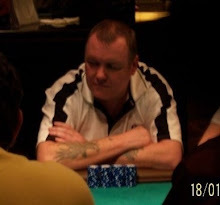 I 1st met Eric at the “Rio All Suite Casino & Hotel” during the 2007 WSOP playing $2/$5 NLH & was an absolute 1st class guy & when I told him I had launched FTP he was more than happy to spare a few minutes to answer a few questions regarding his recent success. 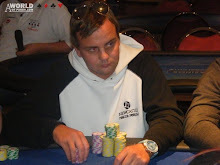 DT "TY for your time Eric & VWD on joining the likes of Men “The Master” Nguyen (1997, 2001, 2003, 2005), T.J. Cloutier (1997), Daniel Negreanu (2004), & other of poker’s elite who have won this prestigious award, how does it feel to be mentioned in the same breath as these superstars & be crowned 2009 CardPlayer POY?" 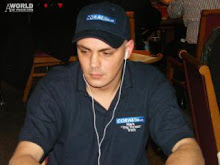 DT "Yevgeniy “bballer88” Timoshenko & Cornel Andrew Cimpan pushed you all the way to the end of year event “WPT 5 Diamond Doyle Brunson Classic” & IIRC from your interview w/Kristy Arnett on CardPlayer TV they needed 3rd & 4th respectively to over haul you out front in 1st place. Unfortunately you bust out this event early so I can imagine you sweated them both, what were the celebrations like from the rail when Yevgeniy went bust & you had wrapped POY up? I assume you drank your fair share of “Miller Lite”?" Not many would disagree but fortunately Phil Ivey didn’t show & had his stack removed, I can imagine this was a relief for the table but nevertheless a table full of talented individuals. Did you adjust your approach to cope w/this talented table? Would you consider this the toughest table you have played at?" 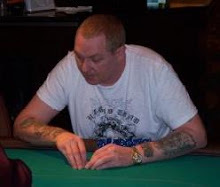 DT "I understand you went bust from “WPT 5 Diamond Doyle Brunson Classic” w/AA vs. the 74h of online phenom & newest member to “Team Full Tilt” Tom “durrrr” Dwan but have no hand details, can you explain the details of the hand & your thoughts on both your’s & Tom’s line?" DT "When & how did you get started playing poker? 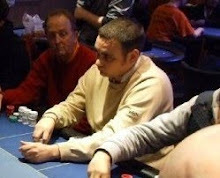 Did you have any inspirational poker players, books, moments, shows, etc that were instrumental in you turning professional?" 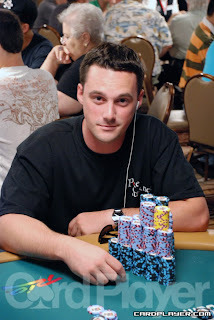 DT "How does winning CardPlayer POY compare to winning the WSOP 2009 #34 $1500 NLH & capturing your 1st WSOP bracelet?" DT "What does the future hold for you, what’s your schedule for 2010? Can we expect to see Eric Baldwin in the 2010 POY race? I for 1 would like to wish you continued success as it suits you well." DT "Finally TYVM for your time Eric, I hope you & Mary have a merry Christmas & a happy new year." It’s brought me great pleasure bringing followers this interview & I really hope you all enjoyed it. 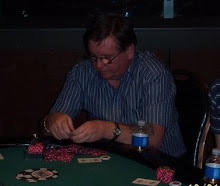 Eric really is both 1 of the nicest guy’s I’ve shared a table & 1 of the best players I’ve ever played. I for 1 would like to wish Eric continued success & all the best for 2010. More good news for Eric as earlier today he was officially unveiled as the newest member of Team Ultimate Bet along w/11 time WSOP bracelet winner Phil Hellmuth Jnr., Annie Duke, Joe Sebok & many more. KUTGW M8 & VBOL w/UB.